LinkedIn, like other social media platforms is a great way for people to make connections. However, LinkedIn is much more than that. LinkedIn allows colleagues to collaborate with one another, helps businesses connect with professionals in their network, and helps jobseekers find employment opportunities with organizations searching for specific talent. LinkedIn is currently the third most popular social media platform for business with 62% of business owners reportedly using the site, boasting 450,000,000 registered members worldwide to date. Clients across many industries, including government, healthcare, aviation, energy, and fintech, often ask how they can better navigate LinkedIn and use it as a branding tool for their organizations. To help answer that question I’ve come up with four useful tips to help brand your business, organization, or government agency on LinkedIn. Creating a LinkedIn business page is a great resource for promoting your organization. A business account on LinkedIn, like other social media business pages, is an efficient way to tell potential clients, customers, patients, or providers what your business does and what you have to offer. LinkedIn allows business accounts to post job listings on their home page. Posting open positions on LinkedIn can help your organization reach a larger pool of applicants than by simply posting the job on your organization’s website. When jobs are posted on LinkedIn, the site notifies users who are looking for similar jobs. Posting job listings, press releases, and other great content is not the only way to brand your organization on LinkedIn. An integrated social media strategy may encourage employees to share content on their personal LinkedIn pages. Employees generally have a myriad of connections. Therefore, if your employees share your company’s posts on their pages, those posts have the potential to reach an even wider audience. However, to protect your organization’s brand, it is always important to communicate your social media guidelines internally to help ensure that your employees’ personal pages and postings align with brand guidelines. Joining group discussions and giving others your input is a great way to promote your business page. Some LinkedIn groups have thousands of members. When someone posts a question that prompts discussion, it becomes visible to thousands of LinkedIn members. Showing that you’re an expert in your industry, with a wealth of knowledge on relevant topics is not only helpful to users seeking advice, but it could even gain you new customers, clients, patients, providers, employees, and/or shareholders. Explore starting a group, inviting members, and engaging the group in discussions pertinent to the group. LinkedIn users are becoming more and more engaged with the site, so if your organization isn’t posting content often, you may be forgotten, or certainly not identified as a key player on pertinent topics. It’s a good idea to post on your LinkedIn business page multiple times a week. Companies that post on LinkedIn at least 20 times per month typically reach about 60% of their followers. Jobseekers, clients, and potential clients want to be able to cyber stalk you on LinkedIn! Give them some good material to work with. Sharing updates will attract more followers and will give your organization’s LinkedIn page a more professional appearance. 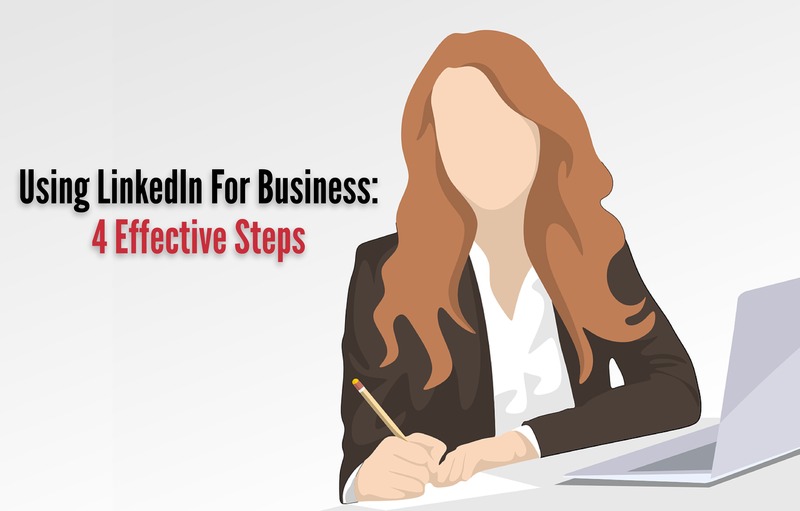 Posting content to your business LinkedIn page is vital to your organization’s success. Equally important is having a strategy for these posts. Like any other social media platform, there are good times and bad times to post on LinkedIn. LinkedIn research indicates that the best times to post are during business hours Monday through Friday. More specifically, posting on your organization’s LinkedIn page midday is the most effective way to reach a wider audience. Posting during the weekend is not very beneficial, and neither is posting content in the evening. Social media users don’t check LinkedIn at the same times that they’re using Facebook or Twitter. Knowing the best times to post can go a long way when branding your business on LinkedIn. As mentioned before, encouraging your employees to share your organization’s posts can expose your content to a wider audience. While relatively easy to gain new connections on a personal LinkedIn page, it can be more challenging to gain new connections on a business page, especially growing followers from your target audience. Along with the previous tips in this blog, I would recommend two other actions to get more followers from your specific target audience on your business page. First, use the LinkedIn Company Plugin Generator. This tool can create a badge for your business page that will help attract more followers with an interest in your services. Second, LinkedIn Pulse is another great tool for showcasing your organization’s thought leadership and driving traffic to your website. 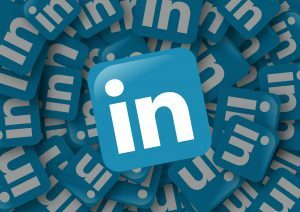 LinkedIn Pulse is a platform to aggregate content written by key influencers in a variety of industries. Posting your content to Pulse places your work next to industry leaders and experts, and attracts users looking to learn more about your field of work. Through backlinks you can drive readers to your organization’s website. In conclusion, LinkedIn allows organizations to promote their work on a social media network designed for the needs of business people. Although it can be challenging to gain attention on LinkedIn, there are a few quick and easy ways to use the site for your business. 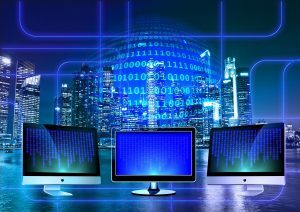 Making a company page will boost your brand’s overall professional image. Joining group discussions will distinguish you as a thought leader in your industry. Posting content to that page often and strategically is another way to build your business network on LinkedIn. Lastly, using LinkedIn’s resources to gain more followers will help your business page attract its target audience. We hope these four tips help your organization’s LinkedIn page to flourish, and ultimately assist your firm in gaining attention and engagement of key stakeholders that are critical to its success. What tips do you have for using LinkedIn for business? Comment below and tell us about your business’ LinkedIn strategy.